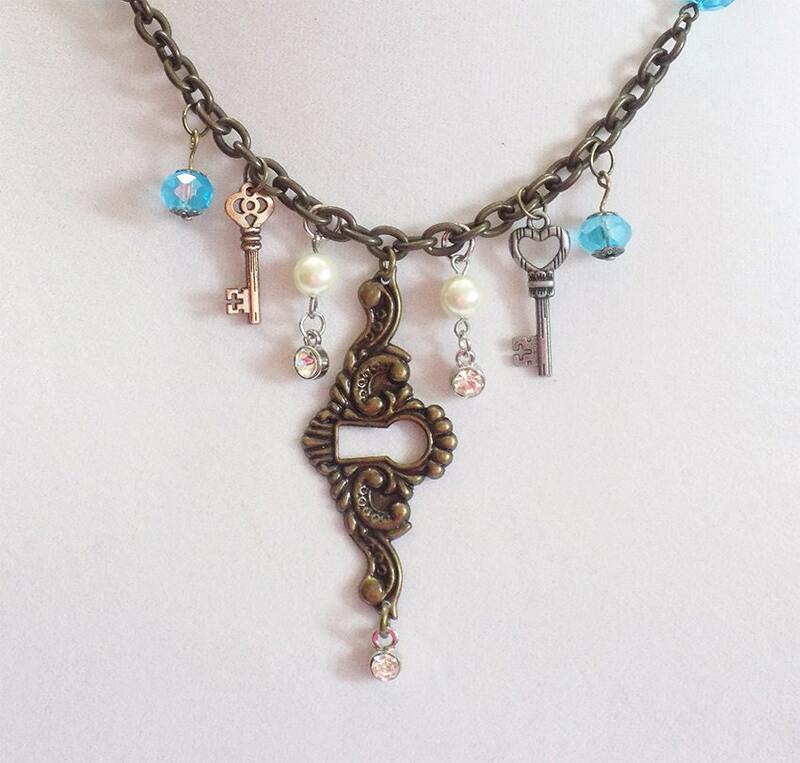 This unique antique bronze necklace features an ornate keyhole that dangles in the middle of a thick cable chain. 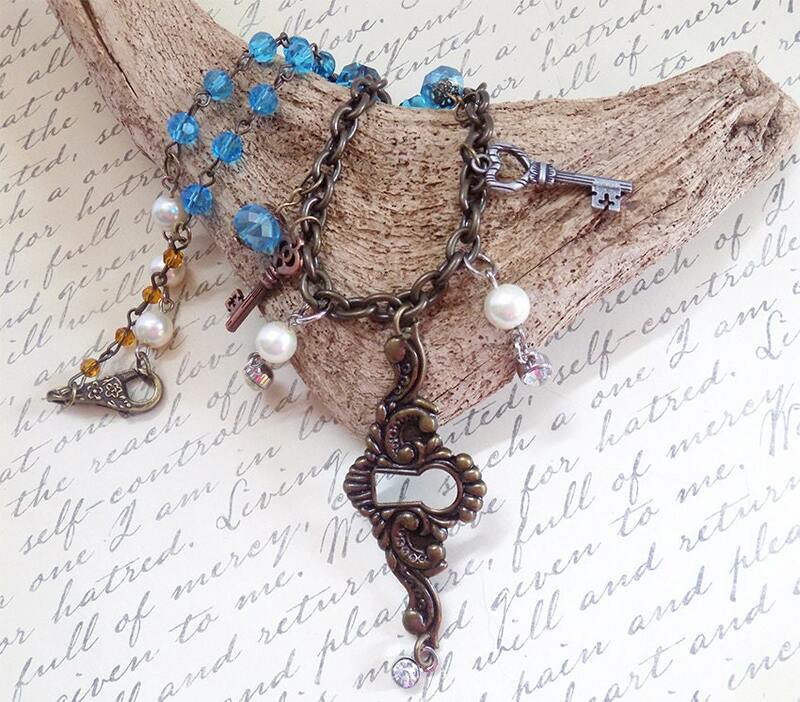 There are keys on each side of the lock, one in copper and one in silver. 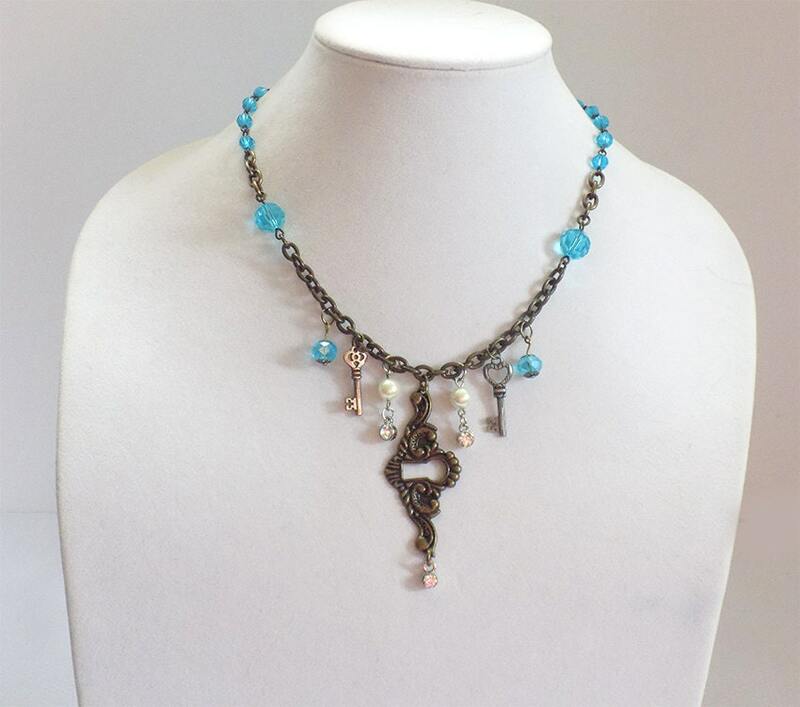 surrounding the keys there are dangling pearl glass beads and blue faceted acrylic beads. 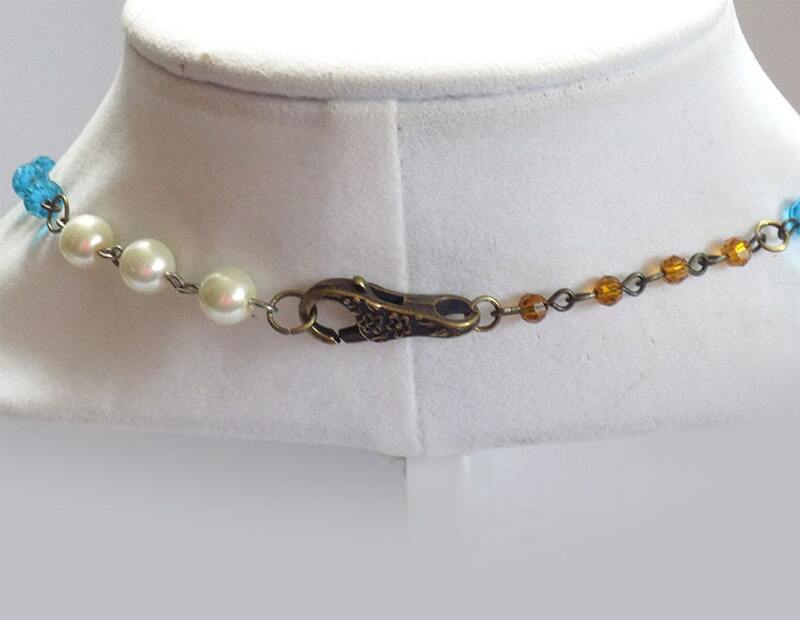 The necklace is finished with an ornate lobster clasp attached to more pearls and orange tone faceted beads on the opposite side. 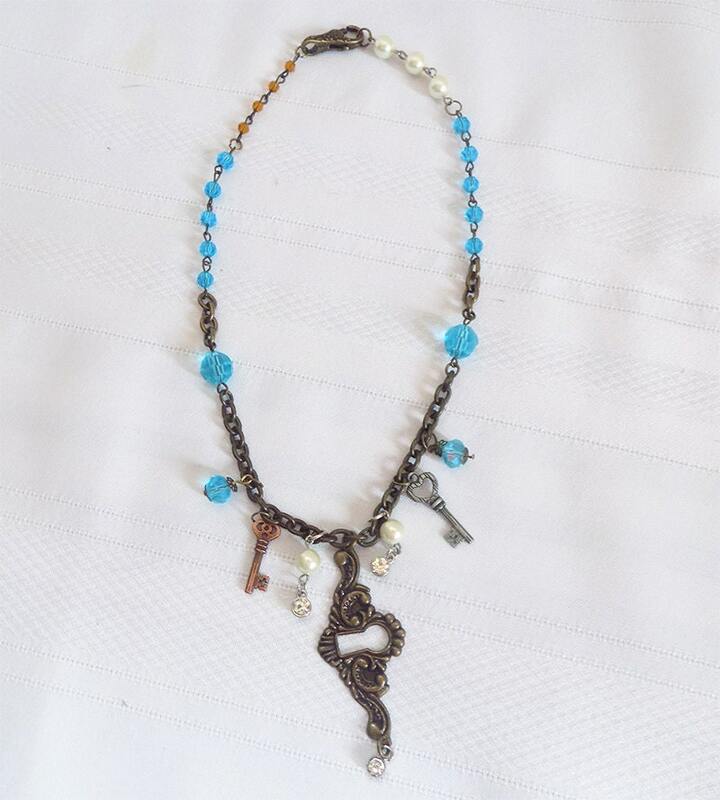 The necklace measures approximately 22".